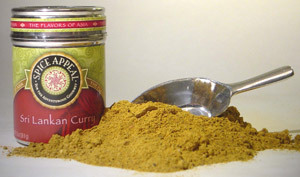 This unique curry blend has quite different characteristics from the Indian curry powders. This highly roasted blend results in a gloriously rich, dark curry powder, which is used for meat, poultry, fish, and vegetable curries. Each spice is roasted separately at different times to achieve its maximum flavor.